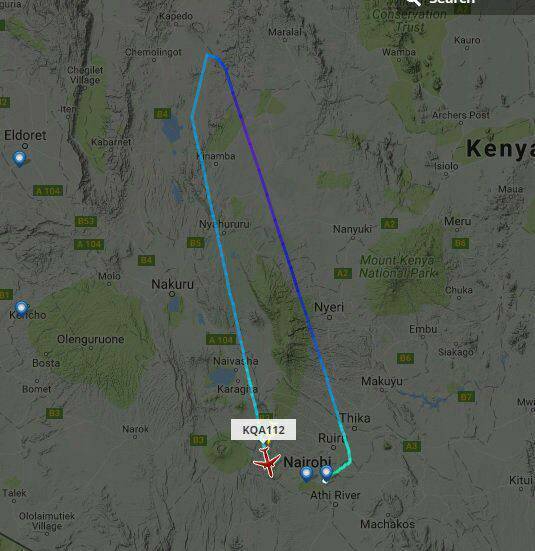 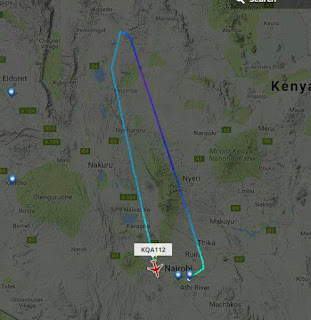 According to reports on social media, a Kenya Airways plane (KQ112 5Y-KZB) en-route to Paris on 30th December 2016 experienced decompression soon after take-off from JKIA and had to turn back to Nairobi. 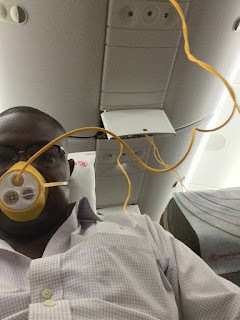 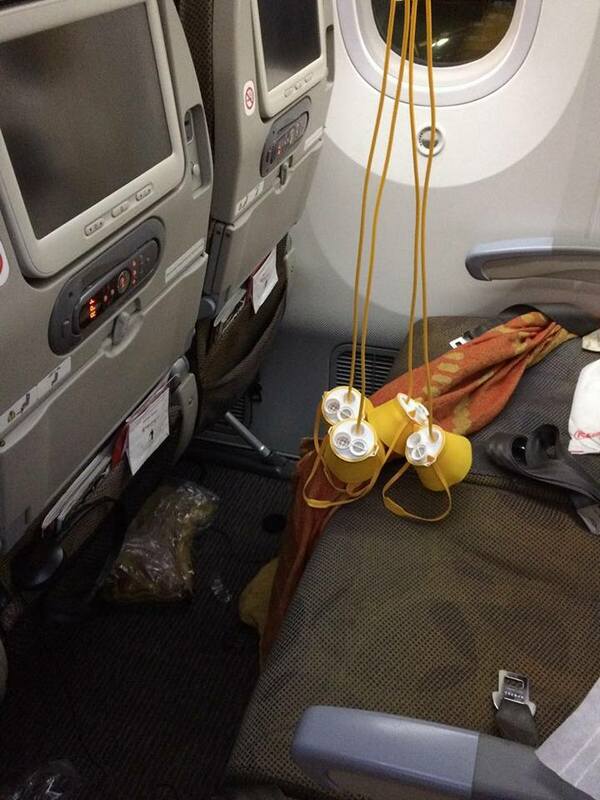 During the incident, a full emergency was declared and all oxygen masks were deployed. Social media comments by people in the know suggest that depressurization was caused by a leaking seal of a recently replaced recirculating fan. 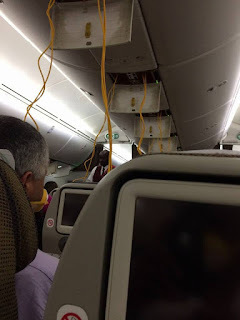 The plane landed safely back in Nairobi and the issue was fixed after which the plane took off and headed to Charles De Gaulle, Paris, France. 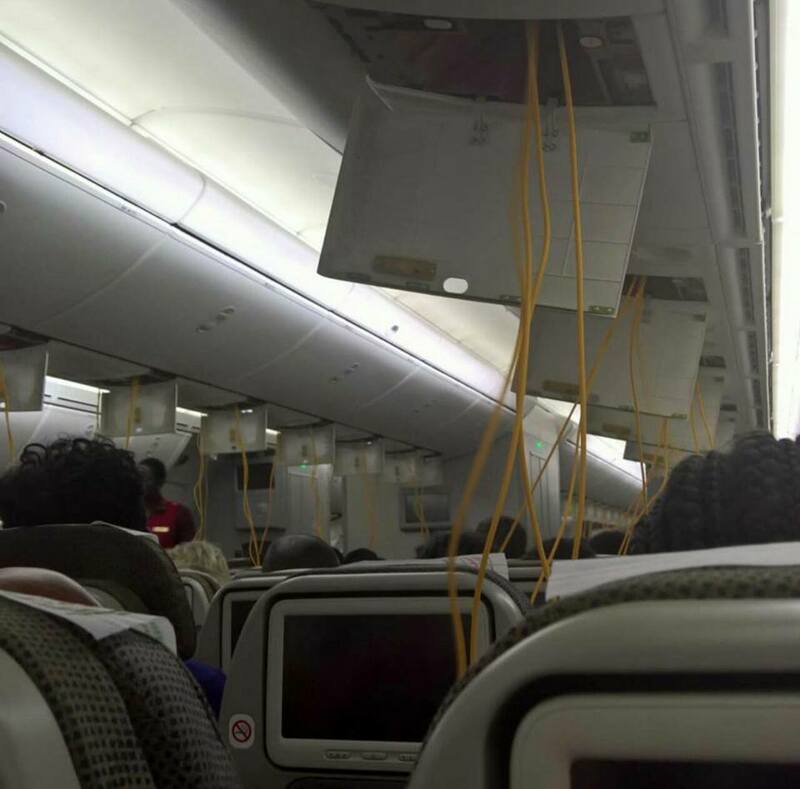 The images below were taken by the passengers and posted on social media. Crocodile snaps his keeper’s arm in half!